LeahBookishObsession (Grade: A–) Wow, I had no clue where this was going when I started it, and that’s the best way to go into this, I'm thinking. If it's at all possible to do, what with the TV show and all. I should probably admit that they were some explanations near the end of the story that kind of, totally, lost me…my solution…was to start watching the show. The only problem is so far the show has a lot of differences and I'm only on the second episode. So, I don't know how or if it's going to clear up my confusion. 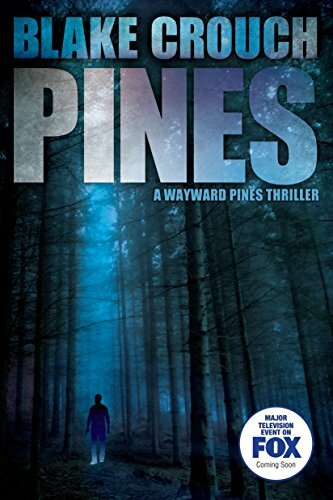 dougcornelius (Grade: B) Something is very wrong with Ethan Burke, a Secret service agent sent to Wayward Pines to investigate the disappearance of two other agents. Very soon it become clear that something is also very wrong with Wayward Pines. But there is little wrong with this page-turning thriller. It's well crafted to keep you barreling to find out what is wrong and whether Burke will be able to find his memory, his sanity, and a way out. mareuter (Grade: B) A thoroughly enjoyable, fast-paced story with great plot twists. bookmage (Grade: A) Better than the first one. There's more about the town and how it functions, how exactly it started. Very excited to finish the series. SusanSiegismund (Grade: B) It had me on the edge of my seat until almost the end then it was a bit too far fetched for my taste.